A band originally formed to appear in the December 2013 release movie “Kanojo wa Uso wo Aishisugiteru”. 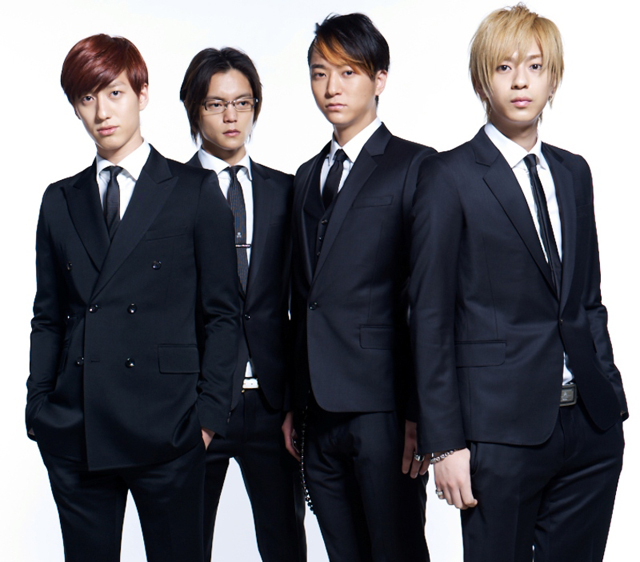 Made their debut in November with the song “Sayonara no Junbi wa, Mou Dekiteiru”, which was performed within the movie. Within the movie, they were portrayed as the monster band who would dominate the top of the charts with every release with their good looks and catchy songs. The band is comprised of Shohei Miura (Vo), Masataka Kubota (B), Kouki Mizuta (G), and Koudai Asaka (Dr), popular handsome actors who are on their rise. After being chosen to be casted for their roles, they took 3~4 months practicing their instruments, and since then, have continued to up their game as a real band.